Dalal Street is witnessing some handsome gains this afternoon with benchmark indices including the Sensex and Nifty hitting record highs. Nifty jumped 92 points, trading at 11,782 and Sensex rallied 336 points and is trading at 39,242. Bank Nifty is the outperforming sector that gained close to a percent led by ICICI Bank after Goldman Sachs raised the target price to Rs 492 per share. The other sectors that performed well include infra, auto and metal. The top gainers from NSE were ICICI Bank that jumped 2.5 percent followed by IndusInd Bank, Titan Company, Asian Paints and Larsen & Toubro while Tata Consultancy Services from the BSE gained over 1 percent. 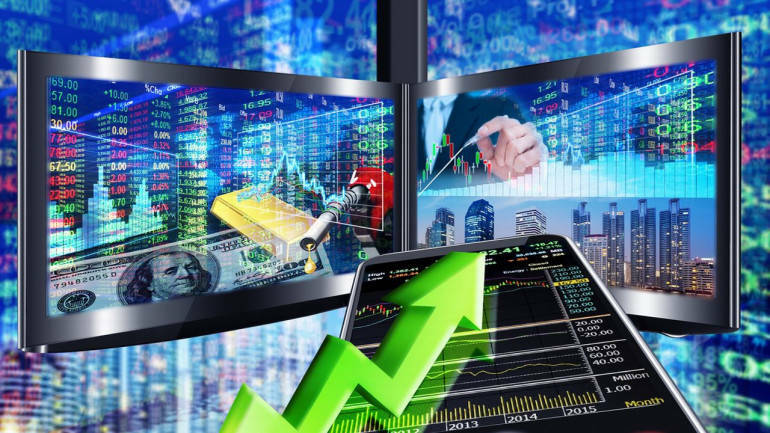 54 stocks hit 52-week high on the BSE including Bajaj Finserv, Bata India, AstraZeneca Pharma, Dr Lal Pathlabs, Gillette India, Indraprastha Gas, Kajaria Ceramics, Relaxo Footwears, Shree Cements, 63 Moons Tech and OnMobile Global among others. Stocks that moved the most with respect to volumes included Bil Energy Systems, which was trading with volumes of 2,042,398 shares, compared to its five day average of 1,315,210 shares, an increase of 55.29 percent. The stock saw a spurt in volume by more than 1.83 times. Ujaas Energy was trading with volumes of 391,651 shares, compared to its five-day average of 12,964 shares, an increase of 2,921.07 percent. It witnessed spurt in volume by more than 30.69 times and touched an upper circuit of Rs 8.08. Deepak Fertilisers and Petrochemicals was trading with volumes of 271,567 shares, compared to its five day average of 25,541 shares, an increase of 963.26 percent. The stock saw a spurt in volume by more than 8.05 times. Prism Johnson was trading with volumes of 42,929 shares, compared to its five-day average of 23,922 shares, an increase of 79.45 percent. The stock witnessed spurt in volume by more than 1.86 times.